In the article entitled “Effect of Platelet-rich Plasma on Chondrogenesis of Adipose- and Bone Marrow-Derived Stem Cells,” coauthors Jr-Jium Liou, Benjamin Rothrauff, Peter Alexander, and Dr. Tuan, University of Pittsburgh School of Medicine, used MSCs derived from the fat pad of the knee and from the bone marrow. They showed that high concentrations of PRP treatment for long periods of time actually impaired cartilage formation, making it less likely for chondrocyte differentiation from the MSC to occur. This had important implications for the development of future strategies to repair cartilage damaged by injury or disease. “This article presents a systematic study to elucidate the effects of PRP on the chondrogenic differentiation of adult human MSCs and its potential mechanism of action as a therapeutic adjunct for the treatment of joint diseases,” says Tissue Engineering Co-Editor-in-Chief Antonios Mikos, PhD, Louis Calder Professor at Rice University, Houston, Texas. Make no Bones about it! The McGowan Histology Core has a Bone to pick FOR YOU! The Histology lab offers decalcification, processing and embedding, cutting and staining of those difficult boney samples. 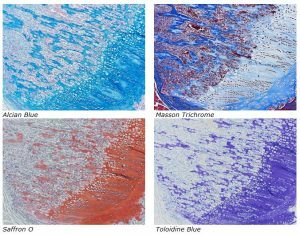 Our staff has years of experience with bone samples that include special staining and IHC on sometimes difficult to work with, large and small bone samples. We have even developed a technique to insure your sample will not lift from the slide during aggressive antigen retrieval protocols. Enjoy these beautiful examples, of just some of the special stains we offer at the McGowan Histology Core. You’ll receive 25% off bone samples in September when you mention this ad. Contact Lori at the McGowan Core Histology Lab and ask about our staining specials. Email perezl@upmc.edu or call 412-624-5265. As always, you will receive the highest quality histology in the lowest amount of time. The Symposium on Regenerative Rehabilitation is the largest medical and scientific conference specific to Regenerative Rehabilitation in the world, bringing together two disparate disciplines, regenerative medicine and rehabilitative research, into one synergistic field of science. Innovative ideas, concepts and technologies were shared, deliberated and debated at this premier event. This new and innovative approach combines discoveries in tissue engineering and cellular therapies with rehabilitative treatments, resulting in improved functional outcomes for patients. This Symposium encourages the participation of scientists, clinicians and physical therapists who are in the fields of regeneration, physical medicine and rehabilitation. The Symposium agenda is designed to create a platform for bridging these areas of expertise in a setting that fosters discussion, interaction, cross-discipline pollination and networking. The Symposium will be held October 11-13, 2018 in Seattle, Washington. If you want to take clear photographs, you don’t use sandpaper to clear a smudge from your camera’s lens. Similarly, if you want to see clearly, the lens of your eye has to be free of obstruction. For that reason, a curious thing happens during the development of eye lenses. Instead of closely guarding their nucleus and the DNA it contains – which normal cells do – most lens cells do the exact opposite. They actually degrade their own nuclei and other cell parts. If they were left in place, they would block clear vision causing cataracts at birth. Cataract disease, commonly found in the elderly, is a leading cause of blindness in the world. Until now, scientists did not understand much about how these cells managed to do this – how they simultaneously pruned away obstructions without damaging proper development of the eye lens. But now, in an article published in PLOS Genetics, University of Delaware biologist Salil Lachke, PhD, and his collaborators show the protein (Celf1) is essential to this process and reveal the mechanism used in three different vertebrates – mice, frogs and zebrafish. McGowan Institute for Regenerative Medicine affiliated faculty member Jeffrey Gross, PhD, E. Ronald Salvitti Chair in Ophthalmology Research in the Department of Ophthalmology, University of Pittsburgh School of Medicine, and the Vice-Chair and Director of Research, the Director of the Louis J. Fox Center for Vision Restoration and of the Ocular Development, Disease, and Regeneration Laboratory at the University of Pittsburgh School of Medicine, is a co-author on the report and he and his team studied zebrafish while the other collaborators studied mice and frogs. 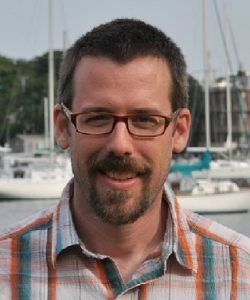 The discoveries plant one of the earliest flags in a little-explored frontier of eye lens biology – showing how an RNA-binding protein found in fish, amphibians and mammals rewires components normally involved in cell division in order to control cell differentiation and specialization during lens development. They show that this RNA-binding protein is essential to breaking down the nucleus’ membrane and starting the process of digesting fiber cell DNA that would otherwise obstruct vision. The study reveals how building the eye actually requires de-constructing the internal, opaque, structures inside the cells that form the lens, including destroying the DNA itself. But how does a cell degrade its own nucleus and DNA without killing itself and defeating the goal of lens development? How does it know when to stop this degradation? The RNA-binding protein Celf1 is the key to this process. “The functions of RNA-binding proteins, especially in organ development, are not well understood, mainly because scientists have not looked at them as carefully yet,” Dr. Lachke said. If you think of genes as lights that are turned on in a house, you could think of these proteins as the ones who go around making sure lights are kept on in the correct rooms and turned off when no longer needed. That’s where Celf1 comes in. Its molecular interactions with specific RNA in the lens initiate events that make it possible to break open the envelope of the nucleus and degrade the DNA within in order to allow light to reach the retina properly. When Celf1 is absent or deficient, serious eye disorders, including cataracts at birth, result. Part of the same process is critical to cell division and development – but in those cases it does not degrade the nucleus. Instead, it remodels its envelope so that the duplicated DNA can be evenly distributed to two daughter cells. This new information about Celf1 is sure to provide new traction in other cellular research, including cancer studies. Cut off a salamander’s tail and, in a few weeks, a near-perfect replacement grows. Do the same to a lizard and a new tail will regrow, but it won’t be the same as the original. By comparing tail regeneration between the two animals, researchers at the University of Pittsburgh School of Medicine found that stem cells in the spinal cord are the ultimate limiting factor. McGowan Institute for Regenerative Medicine affiliated faculty members Thomas Lozito, PhD, Assistant Professor in Pitt’s Department of Orthopaedic Surgery and the Center for Cellular and Molecular Engineering, and Rocky Tuan, PhD, Vice-Chancellor and President of The Chinese University of Hong Kong, are co-authors on the study. 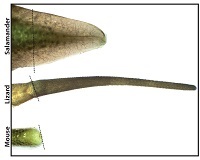 This finding, published in the Proceedings of the National Academy of Sciences, answers the longstanding question of why tail regeneration is perfect in the salamander and imperfect in the lizard, and may serve as a stepping stone to understanding why mice can’t regenerate their tails at all. Understanding what separates perfect regeneration in the salamander from imperfect regeneration in the lizard lays the groundwork for bridging the gap to non-regenerating species, Dr. Lozito said. They found the transplanted salamander stem cells retained their ability to differentiate into multiple cell types, including neurons. By contrast, lizard neural stem cells could become only glial cells, which don’t process the messages that direct movement and feeling. The research team found that the traditionally described “neural stem cells” driving regeneration in the lizard are not “true” neural stem cells at all. Although they check many of the classic boxes, they fall short of a defining characteristic – the ability to spring forth a diversity of cell types. That explains why there isn’t perfect tail regeneration in the lizard, Dr. Lozito said. The neural stem cells can’t produce the different cell types that would be needed to recreate the asymmetries of the original spinal cord, which in turn stymies the development of bony vertebrae. Additional authors on this study include Ricardo Londono, MD, PhD, and Megan Hudnall, BS, both of Pitt’s Center for Cellular and Molecular Engineering. This research was funded by National Institutes of Health grant R01-GM115444. Illustration: Salamanders tails regenerate perfectly, whereas lizard tails grow back imperfectly, and mouse tails don’t grow back at all. Thomas Lozito. Implantation of a stent-like flow diverter can offer one option for less invasive treatment of brain aneurysms – bulges in blood vessels – but the procedure requires frequent monitoring while the vessels heal. Now, a multi-university research team—including McGowan Institute for Regenerative Medicine affiliated faculty members Youngjae Chun, PhD, associate professor, industrial engineering and bioengineering, and William Wagner, PhD, director of the McGowan Institute and professor of surgery, bioengineering and chemical engineering —has demonstrated proof-of-concept for a highly flexible and stretchable sensor that could be integrated with the flow diverter to monitor hemodynamics in a blood vessel without costly diagnostic procedures. 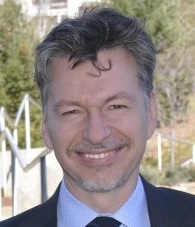 The research was reported in the journal, ACS Nano, and was supported by multiple grants from Georgia Tech’s Institute for Electronics and Nanotechnology, the University of Pittsburgh and the Korea Institute of Materials Science. Repairing the damaged artery takes months or even years, during which the flow diverter must be monitored using MRI and angiogram technology, which is costly and involves injection of a magnetic dye into the blood stream. Dr. Yeo and his colleagues hope their sensor could provide simpler monitoring in a doctor’s office using a wireless inductive coil to send electromagnetic energy through the sensor. By measuring how the energy’s resonant frequency changes as it passes through the sensor, the system could measure blood flow changes into the sac. The researchers tested three materials for their sensors: gold, magnesium and the nickel-titanium alloy known as nitinol. All can be safely used in the body, but magnesium offers the potential to be dissolved into the bloodstream after it is no longer needed. The proof-of-principle sensor was connected to a guide wire in the in vitro testing, but Dr. Yeo and his colleagues are now working on a wireless version that could be implanted in a living animal model. While implantable sensors are being used clinically to monitor abdominal blood vessels, application in the brain creates significant challenges. 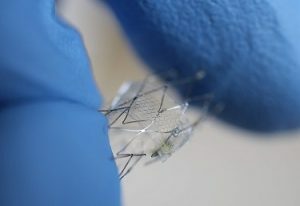 Illustration: With gloved fingers for scale, a proof-of-concept flow sensor is shown here on a stent backbone. Credit: Woon-Hong Yeo, Georgia Tech. McGowan Institute for Regenerative Medicine affiliated faculty member George Gittes, MD, a nationally recognized pediatric surgeon and well-established basic scientist, has been appointed director of the Richard King Mellon Foundation Institute for Pediatric Research and co-scientific director at UPMC Children’s Hospital. He also will assume the title of surgeon-in-chief emeritus. 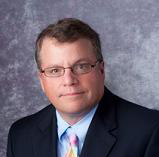 Since joining UPMC Children’s in 2005, Dr. Gittes has served as surgeon-in-chief and chief of the Division of Pediatric General and Thoracic Surgery — one of the busiest pediatric surgical programs in the United States and the home of the Benedum Pediatric Trauma Program, one of only two Level I Regional Resource Pediatric Trauma Centers in Pennsylvania. Dr. Gittes, professor of surgery and pediatrics, Pitt School of Medicine and the Benjamin R. Fisher Chair in Pediatric Surgery, will lead the Mellon Institute, which is an incubator for research that challenges conventional wisdom and can lead to paradigm shifts in pediatric medicine. The high-risk, high-impact investigations undertaken at the institute are typically not funded through government or conventional sources, placing Children’s in a unique realm of pediatric research centers. And as co-scientific director, Dr. Gittes will work alongside Terence Dermody, MD, chair of the Department of Pediatrics at the Pitt School of Medicine and physician-in-chief and scientific director at UPMC Children’s, to further enhance the hospital’s already robust and historically significant pediatric research program. In his own lab, Dr. Gittes and his team have been performing studies using gene therapy to treat diabetes. His team has found that a virus injected into the pancreatic duct of mice will reverse their diabetes, leading to the potential to change the treatment of juvenile diabetes. Alliance for Cancer Gene Therapy (ACGT), the nation’s only charitable organization dedicated exclusively to funding cancer cell and gene therapy research, announced the recipients of its 2018 research grants using innovative clinical approaches to find gene therapy treatments for solid cancers. One of the projects funded is a collaborative effort by McGowan Institute for Regenerative Medicine affiliated faculty member Joseph Glorioso, MD, PhD, Professor in the Department of Microbiology and Molecular Genetics of the University of Pittsburgh, and Gary Cohen, PhD, of the University of Pennsylvania, who are working together on a vaccine for melanoma. Drs. Glorioso and Cohen will share a $500,000, two-year ACGT grant to support a study to develop a cancer vaccine for melanoma. Their research builds on previously successful results using a tumor-targeted, actively replicating herpes virus to infiltrate cancers and stimulate an immune system assault. Dr. Glorioso calls the methodology a “heat-seeking missile that targets metastatic cancer for destruction.” The treatment doesn’t stop there. Once the cancer is eliminated, the vaccine inserts an immunity barrier to protect against recurrence. Melanoma is among the most deadly cancers and this treatment offers new hope. Established in 2001, ACGT is the nation’s only non-profit dedicated exclusively to funding cell and gene therapy research for all types of cancer. One hundred percent of contributions go directly to research. Since its inception, ACGT has funded some of the underlying science that has resulted in the formation of either licensing agreements or biotech companies including Novartis, Ziopharm, Juno, Tmunity, Turnstone Biologics, all of which are in various stages of bringing new treatments to patients. ACGT has funded 58 grants in the U.S. and Canada to conduct and accelerate critically needed innovative research. 36 of those grants have gone to Young Investigators for basic research and 22 grants to Clinical Investigators, totaling more than $29 million in funding. a biofeedback system for mobility rehabilitation training. This is our seventh year of pilot funding, and our leadership team could not be more excited with the breadth and depth of this round’s awardees,” said McGowan Institute affiliated faculty member Alan Hirschman, PhD, CMI Executive Director. “This early-stage interdisciplinary research helps to develop highly specific biomedical technologies through a proven strategy of linking UPMC’s clinicians and surgeons with the Swanson School’s engineering faculty. For the development of a vascular stent graft system that will magnetically guide cannulation of endograft branches. For the development of an artificial tricuspid valve that will treat decreased right ventricular performance due to cardiac disease. For the development of a potent IBD therapy with fewer side effects than current medical therapy. For the development of a system to provide real-time visual feedback to patients working on gait corrections during mobility rehabilitation training. CMI, a University Center housed in Pitt’s Swanson School of Engineering (SSOE), supports applied technology projects in the early stages of development with “kickstart” funding toward the goal of transitioning the research to clinical adoption. Proposals are evaluated on the basis of scientific merit, technical and clinical relevance, potential health care impact and significance, experience of the investigators, and potential in obtaining further financial investment to translate the particular solution to healthcare. Illustration: University of Pittsburgh Swanson School of Engineering. 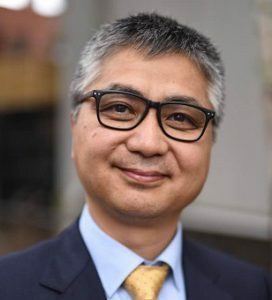 Nephrologist Roderick Tan, MD, PhD, was awarded the Edith H. Blattner Grant Young Investigator Grant for research that will utilize high-resolution ultrasound to closely examine the kidney’s vital small blood vessels. 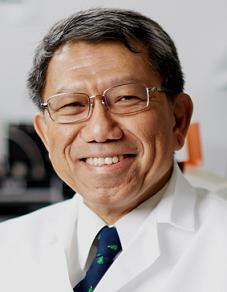 Dr. Tan is Assistant Professor of Medicine, Division of Renal-Electrolyte, Department of Medicine at the University of Pittsburgh. He is collaborating on the study with colleague Dr. Kim. A new group of graduate students and their advisers is joining the drive to increase diversity and inclusion in science. Emily Ackerman, PhD student, and her adviser, McGowan Institute for Regenerative Medicine affiliated faculty member Jason Shoemaker, PhD, Assistant Professor, Department of Chemical & Petroleum Engineering, University of Pittsburgh, is one of those student-adviser pairs. Ms. Ackerman is a PhD student studying network virology and host immune responses in Dr. Shoemaker’s lab. The Howard Hughes Medical Institute (HHMI) has awarded 2018 Gilliam Fellowships for Advanced Study to 45 doctoral student-adviser pairs from across the country. All have demonstrated high promise to become leaders in their fields, says David Asai, PhD, HHMI’s senior director for science education. “These are incredibly talented young scientists with the desire to become college and university faculty, where they will help shape the next generation students,” Dr. Asai says. HHMI created the Gilliam Fellowships for Advanced Study in honor of the late James H. Gilliam, Jr. A charter trustee of HHMI, Mr. Gilliam was a respected business and civic leader who spent his life nurturing excellence and diversity in science and education. This year, HHMI received 231 applications for Gilliam Fellowships. Selection criteria include nominating materials from the student’s university, the student’s research proposal, a leadership statement, a letter of recommendation, and the adviser’s mentoring plan and proposal for a diversity and inclusion activity. To be eligible, students must be enrolled in their second or third year of a PhD program in biomedical or life sciences disciplines, but not in an MD/PhD program. Students must be eligible for grants awarded through the National Institute of General Medical Sciences (NIGMS) and must be from racial, ethnic, or other underrepresented groups in the sciences or be alumni of the HHMI EXROP program. Students also must aspire to careers in academic science and demonstrate a commitment to the advancement of diversity and inclusion in the sciences. The Gilliam program aims to ensure that a diverse and highly trained workforce is prepared to assume leadership roles in science, he explains. HHMI is taking a two-pronged approach: supporting promising graduate students from groups that are underrepresented in science and helping their thesis advisers build inclusive training environments. Each pair will receive an annual award totaling $50,000 – which includes a stipend, a training allowance, and an institutional allowance – for up to three years. 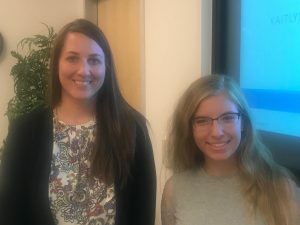 Fellows’ thesis advisers will participate in a year of mentor development activities, including online training and two in-person workshops at HHMI headquarters in Chevy Chase, Maryland. Congratulations, Ms. Ackerman and Dr. Shoemaker! Recipients of this award receive one year of funding for cardiovascular research performed in Pitt’s Swanson School of Engineering. They retain the title of Berenfield Fellow throughout their PhD studies and occasionally meet with the award’s donor. 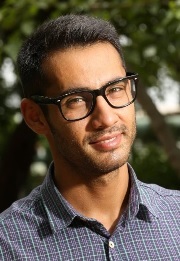 Mr. Behrangzade earned his BSc and MSc degrees in mechanical engineering from the University of Tehran. During his master’s, he focused on experimental and computational fluid mechanics. He is currently pursuing a PhD in bioengineering under advisor Dr. Vande Geest. Mr. Behrangzade is working on functional tissue-engineered vascular grafts (TEVGs) that will be used for coronary artery bypass graft (CABG) surgery. According to a 2015 American Heart Association report, coronary artery disease (CAD) occurs in 32.2 percent of males and 18.8 percent of females over the age of 80, and most of these patients require CABG surgery. Autologous vessels are blood vessels obtained from the same individual and used in CABG surgery. However, these vessels are not always suitable because of prior harvesting or pre-existing vascular disease. “Vasoactivity contributes to the regulation of blood pressure by a contraction/dilation process. Since smooth muscle cells (SMCs) play the key role in vasoconstriction/vasodilation, I am investigating the responsiveness of the SMC-seeded vascular graft to different chemical stimuli,” explained Mr. Behrangzade. “The ultimate goal of this research is to provide a functional TEVG as a reliable alternative for autologous vessels for CABG surgery, which will lead to less failure and can benefit patients and the healthcare system. Leonard H. Berenfield received his bachelor’s degree in mechanical engineering from the University of Pittsburgh in 1964. In 1965, after one year at Westinghouse, he moved to Warren, Pennsylvania, to use his engineering knowledge to help grow Berenfield Steel Drum Co. – the family steel drum manufacturing business. The firm’s continued growth led to reorganization as Berenfield Containers, Inc. in 1985 with Mr. Berenfield assuming the role of President. Further expansions of existing plants over the years and the acquisition of plants in Harrisburg, North Carolina, and Pine Bluff, Arkansas, as well as new factories to diversify the product line into fibre drums established the company’s legacy. Mauser USA purchased Berenfield Containers in 2016. Mr. Berenfield was born and raised in the Pittsburgh area and is an active volunteer. 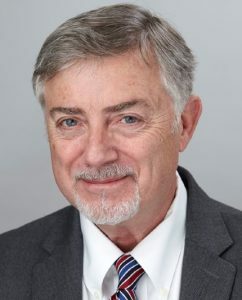 He has held posts in several nonprofit and industry boards including the American Heart Association, the United Way, the Jewish Federation of Cincinnati, Hebrew Union College, the Steel Shipping Container Institute, the International Fibre Drum Institute, and the Industrial Steel Drum Institute. In 2018, he was named Distinguished Alumnus of the Swanson School’s Department of Mechanical Engineering and Materials Science. The Committee provides guidance to the Institute on strategic issues and opportunities. The Committee also reviews and approves all secondary faculty appointments in the Institute. The 2018 Wiegand Intern was Kaitlyn Wintruba a graduate of West Mifflin High School. Ms. Wintruba will be attending the Swanson School of Engineering, University of Pittsburgh in the Fall. Her internship was in the Thoracic Aortic Disease Research Laboratory under the mentorship of McGowan Institute for Regenerative Medicine faculty member Julie Philippi, PhD, Assistant Professor in the Department of Cardiothoracic Surgery, School of Medicine, University of Pittsburgh. Dr. Phillippi also has a secondary appointment in the Department of Bioengineering, Swanson School of Engineering. Ms. Wintruba worked on a project focusing on The Influence of ECM Biomaterials on Human Smooth Muscle Cell Function. The purpose of the project was to develop a cell culture model to understand how human aortic smooth muscle cells respond to cues from the extracellular matrix. The Wiegand Summer Internship is made possible through an endowment from Mr. and Mrs. Bruce Wiegand, friends and supporters of the McGowan Institute for Regenerative Medicine. The endowment is designed to provide an opportunity for a high school senior to experience the opportunities and excitement of a career in science and engineering, with a focus on regenerative medicine. #187 –– Professor Paul Fairchild discusses his research in developmental and stem cell biology. 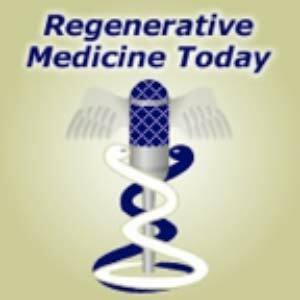 He also discuses his work with the Journal of Immunology and Regenerative Medicine. Summary: Post-traumatic and focal cartilage defects of the knee affect over 3 million Americans annually. Autologous cell-based cartilage repair, for example, autologous chondrocyte implantation, is limited by the need for ex vivo chondrocyte expansion and donor site morbidity. Mesenchymal stem cells (MSCs), owing to their relative ease of isolation, higher replication activity, and chondrogenic potential, represent an alternative reparative cell type. Platelet-rich plasma (PRP) is an autologous, growth factor-rich biologic preparation that has recently received increasing attention and use as a therapeutic adjunct for the treatment of degenerative joint diseases, and there is evidence suggesting that PRP acts by promoting stem cell proliferation and tissue healing. In this study, we have examined the effect of PRP treatment on chondrogenic differentiation of adult human MSCs derived from infrapatellar fat pad-adipose stem cells (IFP-ASCs) and bone marrow (BM-MSCs). Both cell types were placed in high-density pellet culture and hydrogel-encapsulated culture under chondrogenic conditions. Our results showed that PRP did not improve IFP-ASC or BM-MSC chondrogenesis. In general, chondrogenesis was inhibited with increasing PRP concentrations and duration of exposure, on the basis of histological, biochemical, and gene expression analyses. Taken together, these findings suggest that although PRP is reported to be beneficial in terms of pain relief and joint function improvement, its mechanism of action is unlikely to directly involve enhancement of MSC-mediated hyaline cartilage formation. Description: Drs. Glorioso and Cohen will share a two-year ACGT grant to support a study to develop a cancer vaccine for melanoma. Their research builds on previously successful results using a tumor-targeted, actively replicating herpes virus to infiltrate cancers and stimulate an immune system assault. Dr. Glorioso calls the methodology a “heat-seeking missile that targets metastatic cancer for destruction.” The treatment doesn’t stop there. Once the cancer is eliminated, the vaccine inserts an immunity barrier to protect against recurrence. Melanoma is among the most deadly cancers and this treatment offers new hope.